Nancy Ruth Biery, political strategist and consultant, died of cancer on March 23rd, 2018. She was diagnosed with leiomyosarcoma (LMS) in mid-2016. LMS is a rare and very aggressive disease with no known cause, no early symptoms, and no tests or screenings. Biery passed at home on the Olympic Peninsula in the presence of her husband Bill and three adorable and lovable rescue dogs. Born September 25, 1954 to Jerry and Frances Joswick in Chicago, Illinois, she was raised in Barrington Hills, a village northwest of Chicago where she and her husband of 45 years, William L. “Bill” Biery, met and married. Biery graduated Barrington Consolidated High School in 1970, one of the first students in the state to graduate in 3 years at age 16. While in high school she belonged to the US Pony Club and rode competitively in cross country hunter/jumper and dressage. It was during this time she met her husband who worked caring for the 26 horses at the family farm. They married December 30, 1972. A President’s Scholar, Biery graduated from the UC Irvine. She worked with her husband, running their environmental engineering firm and developed an awareness of emerging environmental issues for which she would later dedicate much of her time and energy. One of her initial passions was volunteering and working with the Nature Conservancy of Hawaii while living on Maui. The Bierys restored the beloved home and grounds of Princess Abigail Kapiolani Kawananakoa Field in upcountry Kula and lived there until 1992. It was on Maui that Biery started her career in politics. Since returning to the mainland in 1992 she and her husband have enjoyed living and working in Kitsap, Jefferson and Clallam counties. Washington’s Governor appointed Biery to serve as a member of the Salmon Recovery Funding Board and confirmed by unanimous vote of the state Senate. This board is responsible for ensuring that funds, (local, state and federal monies) are spent for the highest and best use to benefit Salmon recovery and habitat restoration throughout the State of Washington. Biery was passionate about salmon recovery. She was also appointed to the state’s Executive Ethics Board and the Higher Education Coordinating. Biery was honored by the 23rd Legislative District Democrats (Kitsap County) and awarded the Outstanding Service Award for her achievements in helping to elect Democrats in the district and across the state. Over the course of more than 20 years, Biery championed some of the best and brightest political candidates in Hawaii and Washington, extending all the way to Washington D.C. Biery served as the Democratic Party Chair for Jefferson County and prior to that was the Vice-Chair of the 23rd Legislative District Democrats. She honed her political skills as Field Director for the Washington State Democrats and the Coordinated Campaign where she trained, organized and supervised campaign staff and volunteers in targeted Washington State Legislative and Congressional districts. In 2003, Biery moved to Iowa briefly to take up a leadership position in the campaign of Democratic presidential candidate Howard Dean, M.D., former Vermont governor, but was then recruited by former Governor Locke to come to Olympia as Director of External Affairs. In 2008, Biery was again recruited by former Governor Locke and then US Secretary of Commerce, to serve as special advisor in Washington D.C. In between her service with Locke, Biery served as State Outreach Director and, on occasion, acting State Director for US Senator Maria Cantwell. Biery has been the driving force behind at least twenty-five winning campaigns. From the successful election of WA Supreme Court Justices, to the strategy behind Citizens for Public Power in Jefferson County, and countless school board, fire district, council, mayoral, legislative and county commissioner races, Biery has been the muscle behind the decisions and tactics to move progressive candidates and ideas forward. When former Governor Gary Locke was Co-Chair of the Democratic National Committee’s Asian Pacific Islander coalition, Biery helped get-out-the-vote activities in targeted states across the country. When she was the Director of America’s Opportunity Fund PAC, founded by former Governor Locke and former Commerce and Transportation Secretary Norm Mineta, she helped elect several progressive candidates to federal office. Biery is survived by her husband Bill Biery and her mother Fran Joswick, a retired social worker and homeless resource center director both of Sequim. Biery’s father Jerry died in 1992. Biery’s wit and vision perfectly suited her to the role she so embraced in her career. Her depth of understanding and her willingness to serve, as well as her keen appreciation for the sacrifice public office bears, Biery chose to stay behind the scenes helping others to get elected because she loved the process of mentoring and elevating capable and smart people to elected office. 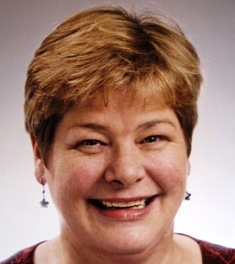 When asked why she never considered running for political office herself, Biery said, “There are two things I love to do … connecting people to one another and getting good candidates elected to office in order to make the world a better place.” This was certainly the essence of her gift. Biery left her mark on the politics of every community she served. She impacted and influenced Washington State’s progressive political brand doubling down on that good work by selecting hardworking, ethical and electable candidates. Biery loved independent film, especially documentaries, and worked every January at the Sundance Film Festival as a theater manager for ten years. She was part of the founding team for the Port Townsend film festival. She was a fan of the television show, The Good Wife and never missed The Washington Week in Review on PBS. Her radio dial was constantly tuned to KUOW in Seattle. Some of her best and most memorable times were spent with inflatable raft, snorkel and fins in the warm Pacific, then a dinner out at Merriman’s restaurant in Kamuela followed by feeling the thunder of kane hula kahiko at the Merrie Monarch hula festival. Biery had a fierce Hawaiian heart and was considered a native by friends in the Islands. She believed in living a pono life, (a conscious decision to do the right thing in terms of self, others, and the environment) with aloha (love, affection, compassion, grace, charity). Her real gift was her ability to do the right thing, for the right reason at the right time. She was a champion of her candidates and causes, a lover of nature and the environment, a champion for peace and justice, a loyal friend and lifelong partner and wife. She was especially grateful for friends’ and colleagues’ steadfast support throughout her career and during her illness. A Memorial Service will be held on June 10th in Port Gamble, WA. Former Governor Gary Locke will be delivering the eulogy.